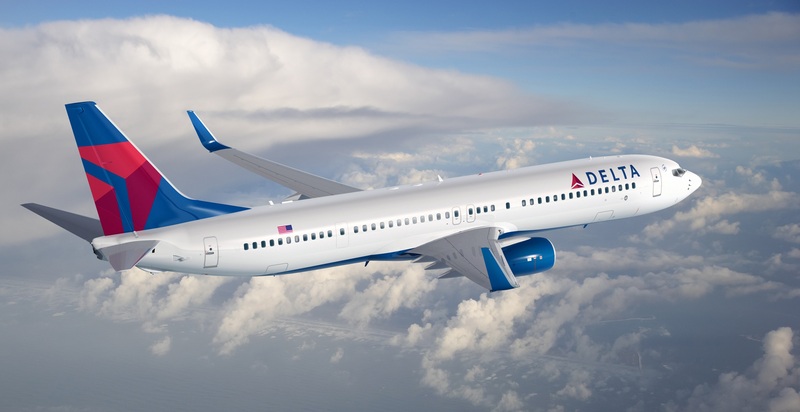 Delta Air Lines has announced new service to Orange County, California from New York JFK. This new transcontinental flight is great news for the region, but not a game-changer for premium traffic. These first class seats will have 37″ of pitch and limited recline. Meanwhile, Delta runs 10 nonstop flights per day between LAX and JFK, all with lie-flat seats in business class. When JetBlue fanned the rumor flames last month about its Southern California expansion, I mused that Orange County would be an excellent option to commence service and offer MINT (business class). A reader rightly pointed that the runway at SNA could not handle an Airbus A321. While the short runway at John Wayne / Santa Ana / Orange County (SNA) precludes an A321, a 757-200 would be possible. I still believe there is great potential to charge a hefty premium for a premium product out of the wealthy Orange County region. Perhaps Delta is testing out its 737-700 first and may upgrade to a 757-200 if the service proves profitable. A question to any of my readers in Orange County: will you take this nonstop Delta flight to New York as opposed to driving to Los Angeles? In terms of economy class, I do not think it worthwhile, but if you are flying business class the product ex-LAX and ex-SNA are very, very different. For me, a redeye would merit a drive to LAX…no question about it. For the 12:30p departure, though, I’d probably just stick to the inferior business class product to save the hassle of the drive. I give this about 4-6 months before it is cancelled. So while I agree they will not be able to command a revenue premium due to lack of D1 seats, this is a daytime flight so the argument can be made that there is less of a need for them. As a bonus to elites though, since it isn’t D1, the standard upgrade policy should apply and you would have a better chance of at least getting out of economy so for the frequent fliers living in OC it’s probably a better option and I’m sure the flight will go out full. @Gene We have a steady stream of folks on the EWR to SNA United flight. UA gets a nice premium for this flight. No one here prefers UA. I think this route gets upgraded to a 757-200 after 4 – 6 months. I guess ticket sales will be key. I totally would take it vs going to LAX. I feel like there are plenty of people in Southern California who don’t care about a D1 seat. If it were a daytime flight I would consider it to have a non-stop. I live in Los Angeles (city), so the distance to the airport isn’t great, but for the right price I could see it as a good option. Isn’t the 757 bigger than the 321? Yes, but it’s a lot more powerful and higher fuel capacity. As the LAX traffic experience continues to deteriorate, this will become more and more attractive. Ugh. This would be a perfect route for the 757. Maybe even alleviate some of the LAX overcrowding by basing some of the Hawaii 757s out of Orange County. PLEASE OFFER POSTS BY EMAIL, LIKE THE OTHER BOARDING AREA BLOGS. Just took this flight as an OC traveler. No way would I do again for the limited business product as opposed to driving to LAX. Being very tall, the limited pitch and recline was a huge disappointment for a premium product. I’ve done this round trip twice and love the convenience! I do miss the premium features of the LAX flights, it was worth it not to drive. Orange County needs more options like this!